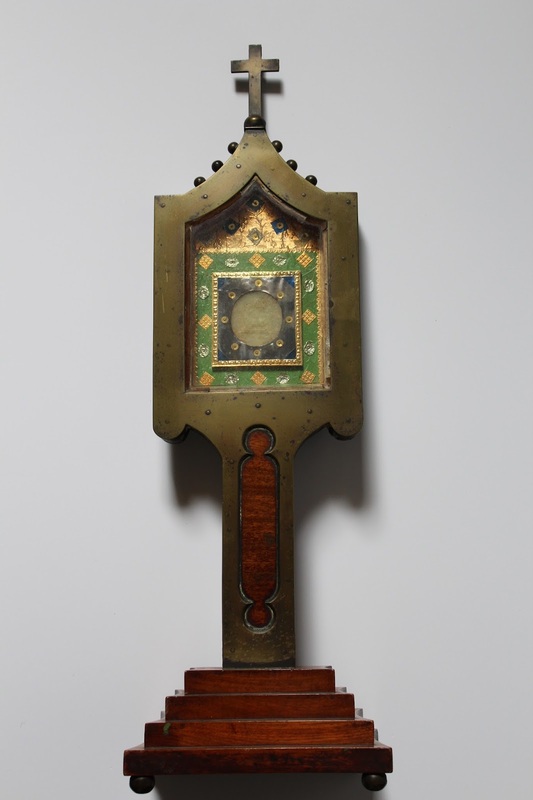 This monstrance was made for the Rev. J.M. Kiely of Brooklyn, New York. The Rev. John Kiely was born in Dungarvan in 1847. He was a graduate of Mount Melleray. He was the youngest priest ever ordained for the diocese of Brooklyn at 22. He was ordained on 24th June 1869 at All Hallows. Soon after he was placed in charge of St. Mary's Church, Brooklyn. In 1881 he took over the parish of The Transfiguration in the eastern district, where he oversaw the construction of a new church in 1892. He had four brothers, Rev. Joseph of Chicago, Philip based in Australia, Maurice of Dungarvan and Edmund of Waterbury Conn.
Rev. 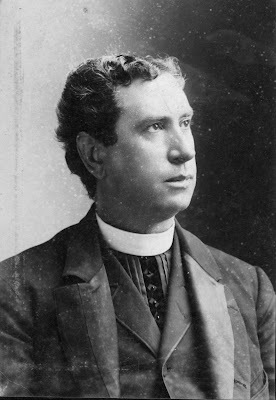 Kiely died in August 1899.